China offers a countless variety of astonishing destinations, from the Forbidden City’s Gate of Heavenly Peace, to the historic Tiananmen Square, and the extraordinary Great Wall. Experience a whole new world in the sensational capital of China, Beijing, as the city delicately blends the old traditions of history with the modern ties of the city. Your trip then leads you to Dunhuang where we will visit the impressive Dunhuang Mogao Grottoes and enjoy a camel ride on the singing sands of the Gobi Desert. From here we fly to Xian where we discover the spectacular Terracotta Warriors before taking a high speed train to Luoyang, once the capital of nine ancient Chinese dynasties. We will visit the Longmen Grottoes, one of the four great grottoes in China and the nearby Shaolin Temple, the birthplace of Chinese martial arts. Conclude in Shanghai where we will tour the Old Chinese Quarter, Shanghai’s Old Town, Yu Garden and Zhujiajiao water town. After customs and immigration formalities, our local representative will welcome you and assist for transfer to the hotel. After time to relax we meet our tour guide for a walking tour of the area surrounding our hotel. Dinner is on our own. After breakfast, we begin our discovery of this 2,000-year-old city at vast Tiananmen Square. From here, we walk through the Gate of Heavenly Peace to the magnificent Forbidden City which was home to the Ming and Qing dynasties for over 500 years. Then, take a rickshaw ride through Beijing’s traditional courtyard neighborhoods (hutongs). Here we visit the home of a local family for a rare glimpse of the traditional communal life-style that is fast disappearing. Then, we make a brief photo stop at Olympic Park, site of the 2008 Beijing Olympic Games. Tonight we enjoy a traditional Peking Duck dinner at a local restaurant. Travel to the northwest of Beijing to visit China’s most famous attraction – the Great Wall of China at Mutianyu. Built over 2,000 years ago, it stretches 4,000 miles across mountains and valleys in the northern part of China. Walk along a well-preserved section of this true wonder of the world and enjoy the panoramic views. 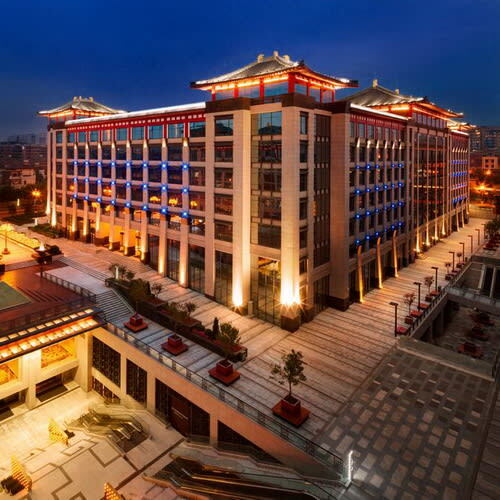 Return to the city with a stop at 798 Art Zone (also known as the Dashanzi Art District), you will have free time to visit some of the galleries and museums, and have lunch on our own at one of the fabulous cafés. Visit the Temple of Heaven, a perfection of Ming architecture and one of the symbols of Beijing. Built in 1420, this huge site (twice the size of the Forbidden City) follows a route traversed by past emperors and their entourages in splendid procession from which the commoner had to avert his eyes. The emperors came to the Temple of Heaven during the winter solstice to offer sacrifices to Heaven and pray for bountiful harvests – momentous occasions for which the temple’s beauty and simplicity provided a fitting background. Following lunch continue on to visit the magical Summer Palace – enjoy your visit to this ethereal garden of imperial grandeur set around the shores of Kunming Lake – last reconstruction of the imperial summer residence – history dates to the Jin dynasty (1115 – 1234) and last site from 1888 – tour by foot and by boat – walk the “Chang Lang” (the Long Corridor) and end your visit with a shared boat ride on Kunming Lake. We board our flight to Dunhuang, home to one of the most significant centers of early Buddhist art in China. Located in the deserts of western Gansu Province, the city lay on a principal trade route linking China to central Asia and the Middle East. 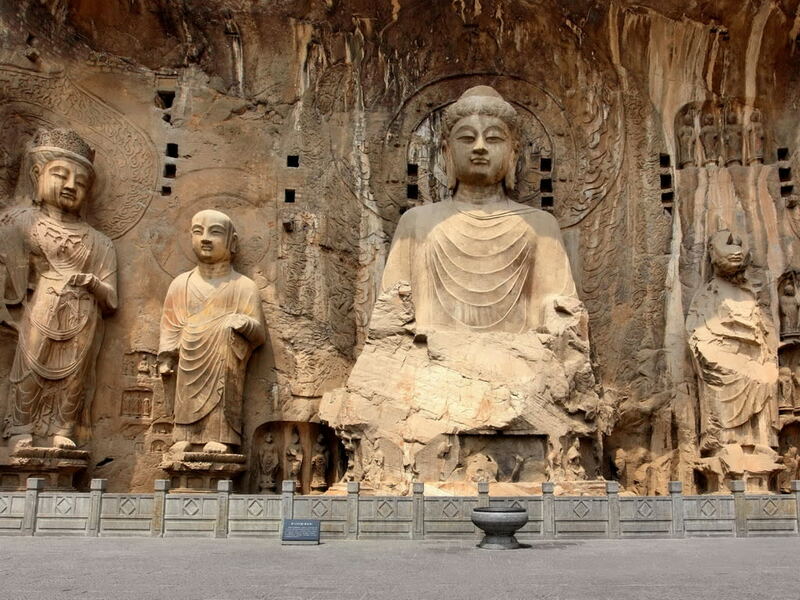 The most famous of the grottoes are the Mogao Caves that were created in the 4th century A.D. Over six centuries, artists contributed to the carvings and then it was mysteriously sealed in the 11th century. Its 50,000 drawings were not discovered until 1900 by a Chinese Taoist named Wang Yuanlu. Upon arrival, visit Dunhuang Museum where you will learn more about Dunhuang City and the development. Early morning, enjoy breathtaking sunrise views while having your breakfast on the rooftop restaurant of your hotel. 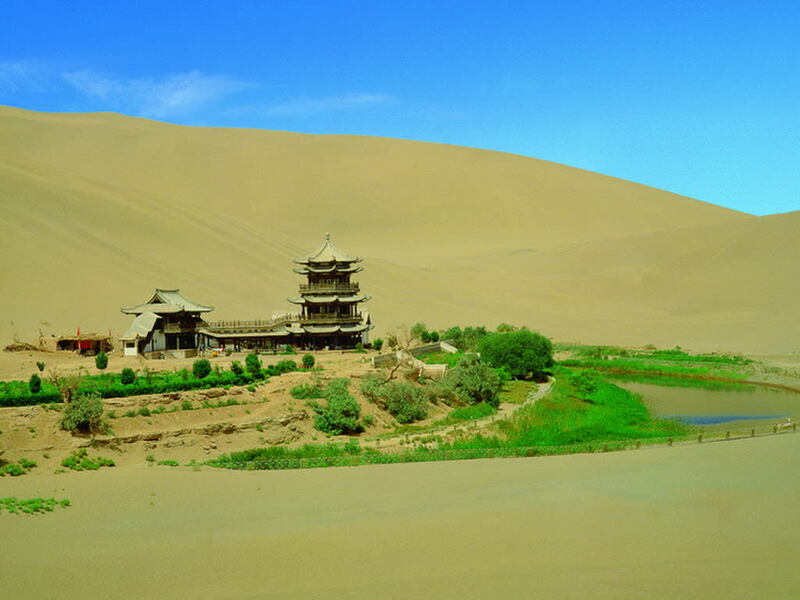 After breakfast, we begin our sightseeing in Dunhuang, visit the nearby Singing Sand Dunes. Take a short camel ride on the desert sand dunes of the Minsha Hills and visit Crescent Moon Lake, a small oasis amid the dunes. At Mogao grottoes near the oasis city of Dunhuang, explore the wondrous sacred art of the Mogao Grottoes, a series of 600 surviving cave temples, which 30 are open to the public. This UNESCO World Heritage site is an incredible collection of Buddhist culture. Discover thousands of artifacts, including murals, carvings, paintings, embroidery, hand-written texts on Buddhism, Taoism, Confucianism and historic records. This morning we fly to Xian. Once the last stop on the Great Silk Road, Xian is a melting pot of Middle Eastern and Asian influences. Upon arrival, transfer to our hotel. In the morning, visit the Shaanxi Provincial Historical Museum followed by a traditional dumpling lunch at a local restaurant. In the afternoon, take a short drive to one of the most marvelous archaeological discoveries, the Terracotta Warriors in Xian. 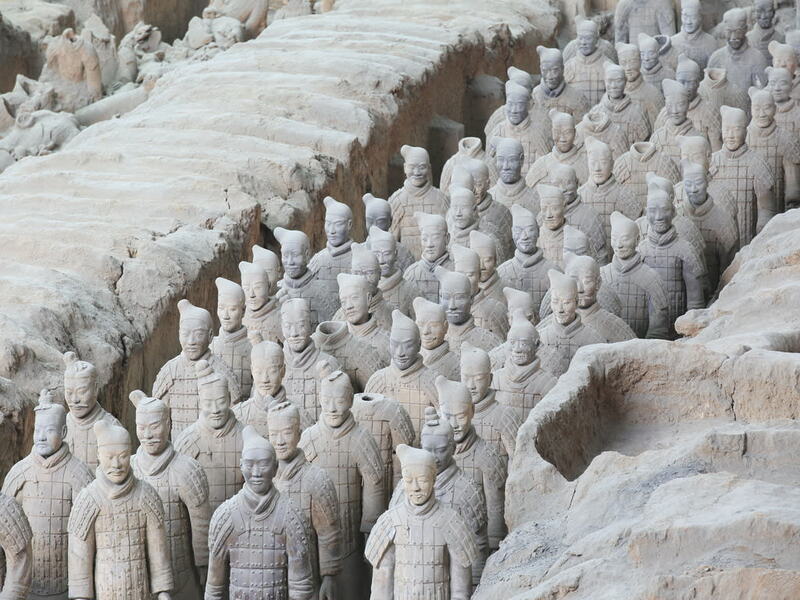 This underground tomb is home to a vast army of unique soldier statues that once served the sole purpose of protecting the Qin Emperor in his afterlife. You will also have the opportunity to witness the Circle Vision Documentary on the history of the site and to view the bronze chariots and horse sculptures which are the most precious centerpiece of the Terracotta Warriors Museum. 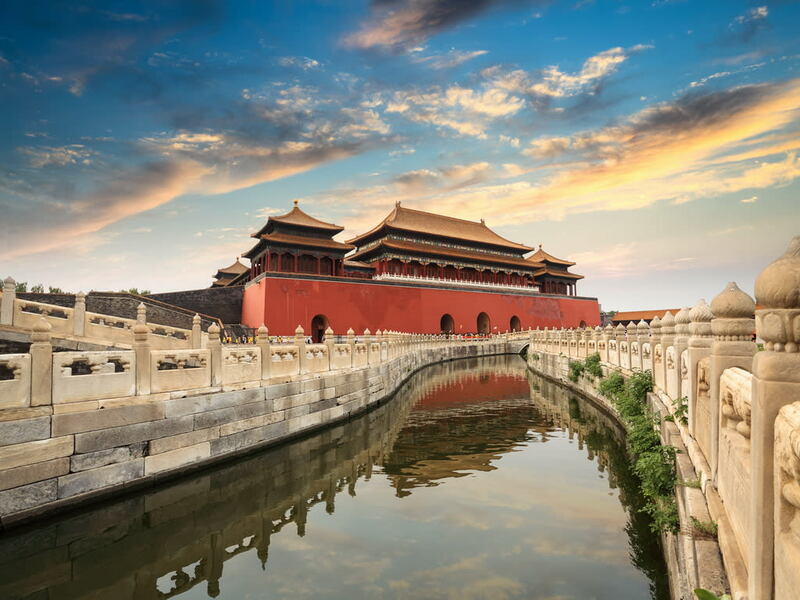 Take a morning stroll along the top of the City Wall which was built during the Ming Dynasty on the original foundations of the Tang Forbidden City Wall. Proceed with a walk through Xian’s Muslim Quarter en route to the mosque. The Great Mosque, one of the most interesting sites in a city known for its rich history. After lunch, board a high speed train to Luoyang, the capital city of 13 ancient dynasties from Xia Dynasty (21st-16th century BC). Boasting the world heritage site Longmen Grottoes and adjacent location to the famous Shaoling Temple, it is a popular destination in central China. Upon arrival, transfer to your hotel for check-in. After breakfast at the hotel, you will start today’s sightseeing with a visit to the Chariot and Horse Pits. It is the accessory pit of an imperial tomb of the Eastern Zhou Dynasty (about 2,200 to 2,700 years ago), exhibiting the remains of 2 sets of ancient chariots and horses and one of the chariots was drawn by six horses abreast. Then proceed to Longmen Grottoes. Densely scattered along the cliffs on both banks of Yi River, Longmen Grottoes is one of the four great grottoes in China. The construction started from 493 AD of the Northern Wei Dynasty when Emperor Xiaowendi moved the capital to Luoyang and lasted for more than 400 years. Now there are 2,345 caves with 2,680 statues, over 70 stupas and 2,680 inscribed stone tablets. You will then visit the White Horse Temple. With a history of 1,900 years, the White Horse Temple is regarded as the ‘No. 1 Ancient Temple under Heaven’. It was built in the Western Han Dynasty to enshrine the services of the white horses that carried the Buddhist scriptures and statues brought back from India. The morning tour takes you to Shaolin Temple. 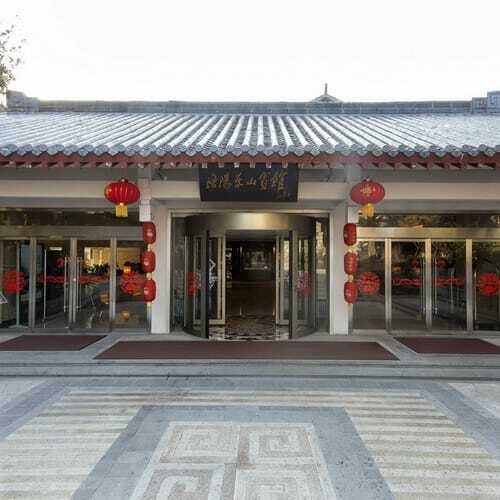 Situated in Songshan Mountain, about 7.5 miles from the west of Dengfeng City, it is the most reputable and longest standing temple in China. 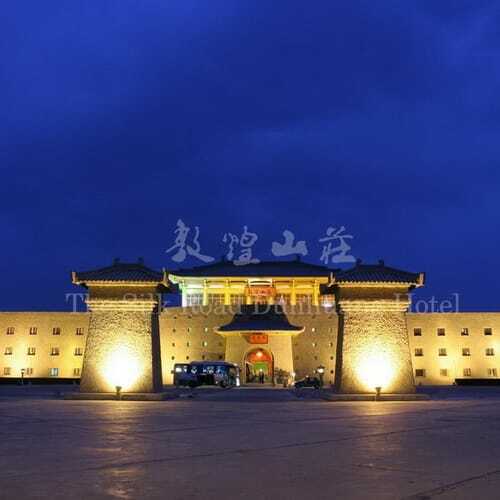 The temple is the birthplace of Shaolin Kung Fu that has become the treasure of Chinese martial arts. The main scenic spots in the temple are the Hall of Heavenly Kings, the Grand Hall, the Sutra Depository, Hall of Thousands of Buddha and the Pagoda Forest. After lunch, board a high speed train to Shanghai, China’s biggest city and a global financial hub on the East China coast. 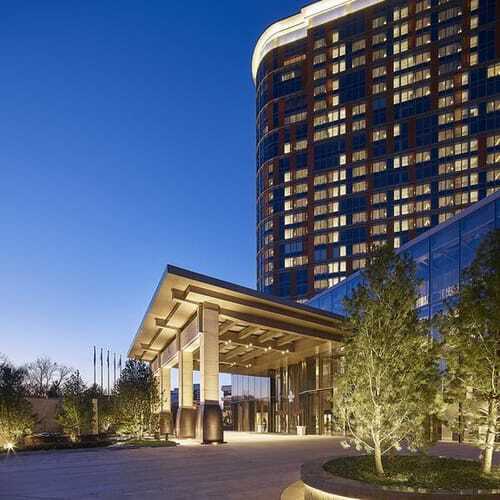 Upon arrival, transfer to your hotel for check-in. In the morning, take a walk through Shanghai’s Old Town which refers to the original Chinese city that flourished in the Ming dynasty. 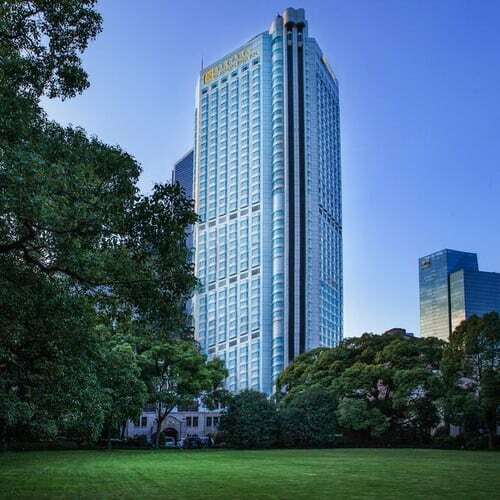 Stroll through Shanghai’s old Chinese quarter to the lovely Yu Yuan garden and enjoy a special tea service at the Hu Xin Ting teahouse, the oldest existing teahouse in Shanghai surrounded by a lotus pond. Then, we head out to the lively Bund. In the evening, see the ‘ERA Intersection of Time’ show that takes place at Shanghai Circus World. The amazing acrobatic show reflects the rich history and traditional martial techniques of Chinese culture. 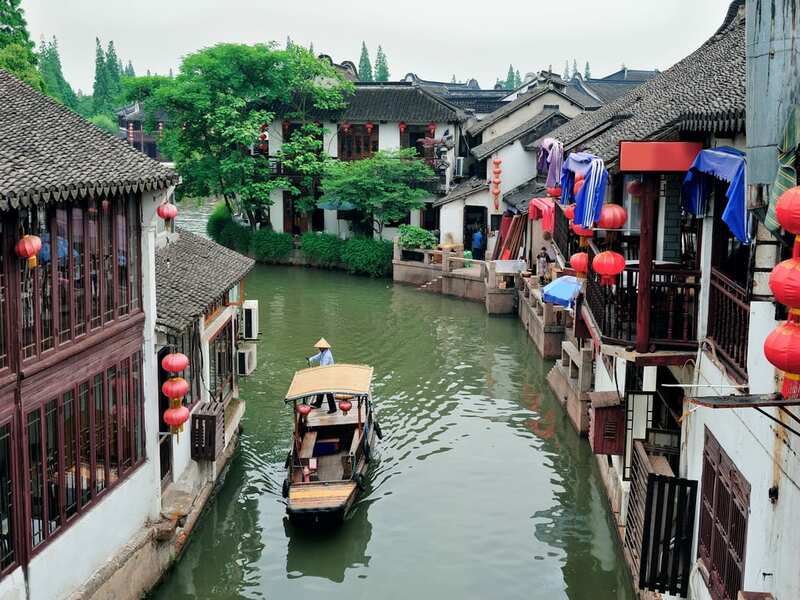 After breakfast at the hotel, enjoy a morning excursion to the picturesque Zhujiajiao, an ancient water town known for its widening canals, arched bridges and Ming and Qing architecture. A highlight of your tour includes a traditional sampan ride on the canals. Hotel check – out and transfer to the airport. Contact us at (800) 988-4833 or Email us to Book this Trip NOW! Click on Terms & Conditions for important information. Traveled with us before ? Thank you for making an online inquiry with Globotours. One of our travel advisers will be in touch with you shortly.